Grief is deep, intense and prolonged sorrow which results from any significant loss. Whether it is the loss of a pet or the death of a family member, grief usually first visits us when we are very young. This can be one of life’s most difficult experiences. 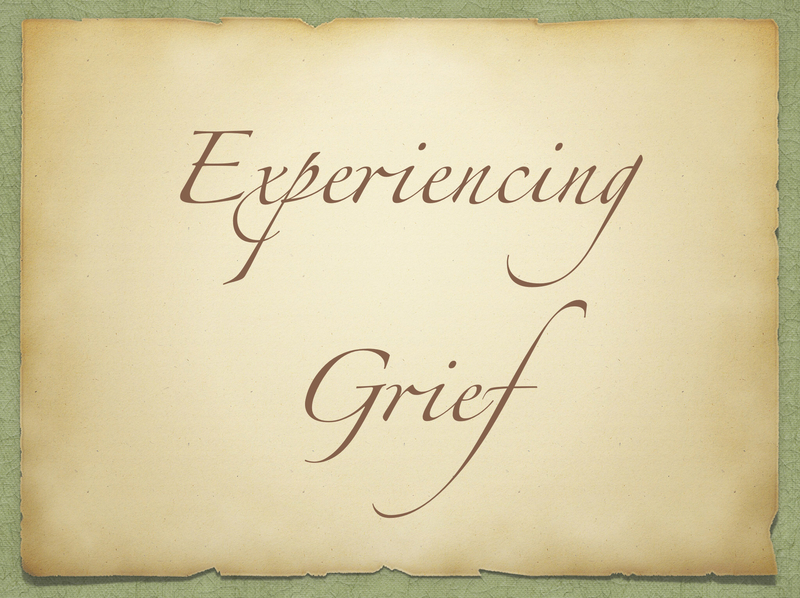 Knowing what to expect may enable us to more confidently traverse the pathway of grief. It can also enable us to emerge from this valley stronger and more resilient. According to Elisabeth Kübler Ross, grief consists of five stages: denial, anger, bargaining, depression and acceptance. This is not, according to her writings, a sequentially unfolding series of steps. Rather, these are the emotions and actions common to people experiencing grief. We can all do several practical things to help our friends and family members who are experiencing grief. First, being present speaks volumes. Simply expressing our condolences, without attempting to philosophize about death, is preferable. Second, our grieving friends and family need our patience. Simply stated, they need us to give them whatever time and space they need to grieve their loss. Third, our loved ones need us to be perceptive of their needs. They may be forgetful. Their emotional house may be disheveled. They may need a few minutes to themselves to sort through the avalanche of emotions sweeping over them. Or, they may need us to sit with them and hold their hand. Instead of saying, “If there is anything I can do, let me know,” they need us to perceive their needs and act accordingly. These three – presence, patience and perception – will go a long way towards helping others who are experiencing loss and grief.